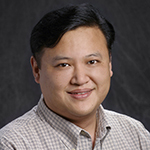 Dr. Jin-Woo Choi is currently Associate Professor of Electrical and Computer Engineering at Louisiana State University. His research expertise lies in the area of nano/microfabrication, microscale devices and systems, biomedical microsystems, and various sensors and sensing systems. He has in-depth knowledge and experience in lab-on-a-chip systems, integrated sensors for biomedical and industrial applications, flexible and printed sensor technology, and nanomaterial-based sensors. He has published more than 100 papers in refereed journals and conference proceedings. He is also an editor of Microelectronic Engineering, an Elsevier journal dedicated to nanotechnology and processing for electronics, MEMS, energy, and life sciences. This presentation covers cost effective and portable lab-on-a-chip and biosensor approaches for on-site detection and analysis. On-site detection of pollutants and pathogens is highly desired for environmental, biomedical, and food safety applications. One of the challenges in off-the-bench detection is handling and manipulation of liquid samples. Recent developments in lab-on-a-chip and biosensors having passive microfluidic control schemes will be demonstrated for on-site detection applications. Simple and reliable detection is another challenge, and the presentation will address both optical and electrochemical detection options. Other key challenges in practical applications of lab-on-a-chip platforms will also be reviewed and discussed.